What are student loan scams? Several common student loan scams happen to charge upfront fees for loan consolidation, tricks to eliminate loan debt and law firm student aid scams. Here are 9 warnings to spot the scam and watch for it when looking for student loan debt relief. Right now as we speak there is over $1.5 trillion stuck in student loan debt. Yes, that is billions of dollars being stuck with the students each year. Well, it's always clear that once you have so much money stuck in one place, chances of scam increases. Scammers try to get your money through offers that have no real information or an idea about it. If you come across for relief from your student loan and see a case that seems too attractive to be real, it's probably the scammers, as borrowers can't find themselves in the straight line of communication. They commonly use advertising that you can get a part or full loans forgiven due to a pass in new law or rule. While you believe it and pay them they just take the money and do nothing. Sometimes they might not rip you completely but charge you a one time or monthly fee for the signing of federal programs - where this program can be signed on your own for free. In fact, the Consumer Finance Protection Bureau (CFPB) has issued warnings about it and what to look out when getting help from student loans. 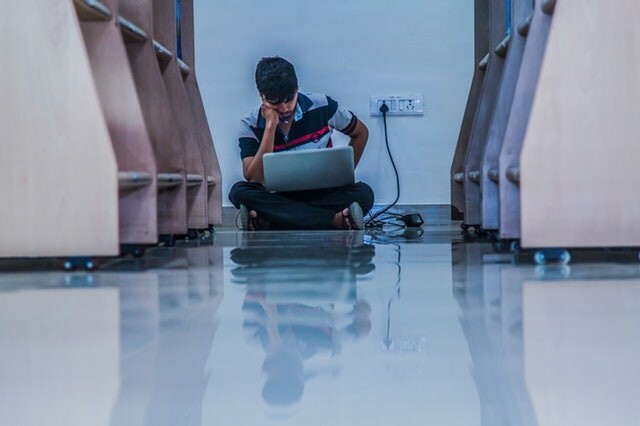 Federal trade commission with 11 states and the District of Columbia came up with an Operation Game of Loans, which is a planned effort to address the student loans scams. Under these court cases, a claim that the company had collected from the student loan under borrowers is around $95 million. 9 What to do If I had fallen for the scam already? When an organization is promising to you on giving a service or product for a fee but doesn't deliver it at all or provides the inadequate product. When a company is providing upfront information for everything it's going to give and do, meet the regulations but doesn't help you much as you thought or costed more than you figured, then it may be a bad agreement for you. While getting into the different kinds of scams that are going around the students, let's get some important points on getting help on your student loan debts. There are a lot of companies posting information online that they can assist you with your loans. These kinds of advertising can be seen on Facebook, Google, and Mails (Yes! to your mailboxes and not your inboxes). These postings generally consist of things that they will use to help you with settling your student loans debts. The help might not available and it would be your decision to watch the loans on your own or hire a professional organization to manage the loans for you. Why help is not available? Enrollment in repayment programs is open for free of cost for Federal loan borrowers and can be fulfilled at studentloans.gov. Payment amounts, requirements and other qualifiers such as paying under IBR, PAYE and other repayment programs are set by Federal law. Debt relief companies don't have the ability to negotiate with Federal student loans creditors to get a better deal. It's a clear sign of a scam when a company charges you a fee before it provides at least a part of the service to you. It is a sign of an illegitimate organization. If a company that tells that it will help you in filling out forms and help consolidate your federal loans or re-negotiate on the federal loan repayment plan, it is clearly a company trying to scam you. Federal forgiveness programs are based on your employment history and there are no private loan forgiveness programs available. Debt relief companies may promise to negotiate a part of the loan that's not guaranteed to work. If you couldn't find information about the plan which was given by a person who is offering the service anywhere on the company's official website or anywhere else, you might be dealing with a scammer. Make sure to stay away from any company that pressures you to sign up for their services or tries to force you into giving money. These can be found in unrequested phone calls. No legal companies that provide financial assistance will ask for your social credentials like social security number and login credentials. Several fake debt companies collect personal information and make use of them to lock people out of their accounts and asks for payments. If a law firm is claiming to be a student aid company and asks you to sign up a power of attorney where they take over your accounts and request you to make repayment through them, then it might be a scam. If you come across any policy or program for your loan which seems to very good from your term, it's clear that its a scam and this is a golden rule of spotting it. 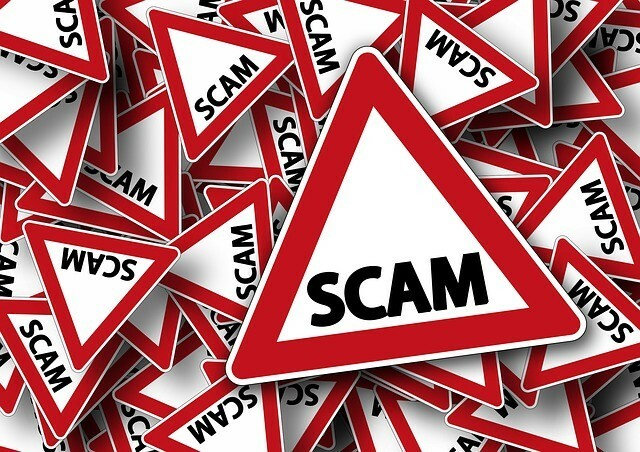 If you receive any posting from any company with misspelled words, grammatical errors and forcing you to signup in all upper case letters, then this is also a sign of a scam. Unprofessional communication skills is also a sign of the same. If the company is located in an area where it says it is, better call the nearby businesses and ask if they have heard of the company. You can also do the same by reaching to the local Chamber of Commerce. If no such address is found, then try to call and get the location. If that doesn't work too, it's definitely a trap. See if there is any content about the company. Does the information on the company is disclosed or hidden? Does it look professional enough? All these questions must be asked. Look into the terms and conditions of the company. Is there anything that seems to be vague or misleading? If yes, then that could be the cause which can potentially hurt your personal finance. Read the reviews of customers who have used the company's service before. Try to stick with review sites which have antifraud practices and mechanisms in place to make sure the reviews are real. The Advanced Fee Scam involves a student loan company to tell you that it can get you a better interest rate and loan term. But in order to do that, it requires a small fee in upfront for the service. They usually charge between from 1% to 5% of your loan amount. Sometimes it's up to $1,000. If you come across this scam please make sure to stay away from them. Under any period of time, you don't need to pay to get better interest on the loan. All legal loans provided by Federal or Private organizations don't require an advanced fee. Although, if there are any payments that have to be paid, they will be deducted from the check or it will be included in the repayment amount as an installment over the repayment period. Federal Student loans charge 1% default fee and no origination fees. Private Loans charge either disbursement fee or origination fee, they are negotiable and vary from one to another lender. They never charge up front. The Third-Party Companies who help you with student loan debt might take a fee in advance. This fees would go into a deed that the company should get paid once as they have helped you sign up for a program. Look for a sentence like "We get paid once you have made your first payment on your new repayment program"
Are you a graduate who has multiple student loans? If yes, then consolidation (combining) of your loans will make it easier for you to manage your finance and make your monthly payment lower through the Direct Loan Consolidation Programs. Even Private loans can be refinanced into a new one with a low rate of interest. Here, the scam is carried out by companies charging you a hefty sum of amount to consolidate your loans without providing you any help or consultation. Most of the times they do nothing after collecting money from people. These fees are named as processing fees, consolidation fees, and administrative fees. The Department of Education (ED) has issued a warning and notice on its site about the consolidation fees on your loans, as there is no application fee and the process to consolidate students loans is easy. Federal student loans are free for consolidation. For Private student loans, there are plenty of lenders who are ready to refinance your Federal and Private loans or both. Refinancing is totally different from consolidation where rather combining your loans here, you are actually taking another loan from a new lender to pay off your existing loans. The comparing tools online will allow you to fill out the form to get various lenders rate at one place. Compare and choose the one that you think suits you. Law firm companies calling themselves as student aid company saying that they will negotiate your student debt down for less than a thousand for a fee that are thousands of dollars is a scam. Often, they ask you to sign a power of attorney agreement to hand over control of your student loan repayment accounts as the negotiation on the loan goes into default. Typically what happens in a law firm is that they don't make any payment while the process of negotiation with your lender and your loans gets into default. At a certain point of time, they claim you can't pay your bills and try to negotiate a settlement of payment on that. What happens to you, as the borrower, your credit score will hit the rock bottom when you have made thousands of dollars to the law firm. In the end, you don't have any guarantee that you will be settling of your loans. Federal student loans debt is non-negotiable and no company can negotiate it so if any companies say that they will, it's a scam. Private student loans cannot be guaranteed that it will be able to negotiate your debts down. Many law firms say it but will put the money from you into their pockets instead of paying off your debts. It's always better to stay away from companies that provide services to you which can be done by yourself for free of cost. The most common student loan scam is student loan debt elimination scam. The key most important factor to keep in mind about student loan debts is that it cannot be eliminated unless you have qualifying reasons for the same and have Federal loans. Companies claim that they can eliminate or reduce your student debt for free. If you come across this sort of messages on the internet, by email or get a physical letter, it is a scam. There are real student loan forgiveness programs available out there but scammers claim that there is no such thing which exists. The forgiveness is based on the income and career based ability of forgiveness. It's better to contact the federal government on your student loans forgiveness than heading to an outside source. What to do If I had fallen for the scam already? You are not alone if you are affected by a student loan scam. Here are a couple of things what we can do to put our feets in. Try to cancel any contracts if you have signed any and demand a full refund. The company won't respond to it. In that case, notify your bank that this company will no longer serve you. Monitor financial activities. There is a small chance of getting sued if a breach of contract occurs. Call the person whoever you are making the student loan repayment to and explain the current situation and ask for what steps you can take. If the control is with the company you need to send a notarized letter revoking this control. Bring the scammer to justice and prevent others from getting victimized. Consider filing a complaint with the Consumer Financial Protection Bureau, FTC and state attorney general. If matters go right, you will be getting a Lawsuit out of it. Fill in the complaint with the Better Business Bureau, the Department of Education and your representatives in Congress. If you haven't acted on time after the scam, chances are your personal finance is in danger. Consider reaching out to a non-profit credit counselor to help you get back on track. Under the Department of Justice website, you can find a government-approved counselor. While looking for help in paying off your student loan debt, better stay away from companies that want money up front or in any firm that makes you feel uncomfortable. Move away from any companies that promise that it can help you with federal loans and forgiveness with some fee, which isn't true. The federal government can help you with it for free of cost. If you need any help or a better understanding of which type of loans to choose, how they work visit the respective sites and people. Head to the respective persons to clear the doubts that you have on the loans. Reaching out to the servicer about the repayment options on refinancing if you want a more favorable term. 1. Are student loan forgiveness programs legitimate? Public Service Loan Forgiveness Program(PSLF) is the recognized government programs which can reduce or eliminate your federal student loans after a certain period of time where only some people qualify for forgiveness. Choose it carefully and do research before you get into it. 2. Does student loan forgiveness really work? Well, getting a student loan forgiveness is hard and it been provided to a specific student loan borrowers who are in the employment under the Public service jobs and non-profit organizations may be considered for the loan forgiveness under a federal program. Borrowers who are with the eligibility after qualifying payment for 10 years towards their loan can be considered. 3. Do student loans go away after 7 years? After the 7 years from the default then it will be transferred to FFEL it will not appear on the credit report. 4. Do your student loans go away after 10 years? Under the Income-Driven repayment plan (PAYE) Pay As You Earn you would be paying more than 10 % of what your discretional income and the loan will be forgiven after a period of 20 years payment. But for qualifying, it needs to go back to 2007. 5. Who qualifies loan forgiveness? Under the Public Service Loan Forgiveness program (PSLF), which might be eligible for student loan forgiveness after making a qualifying of 10 years of payments in the place of standard 25 years in forgiveness. There is no limit on the amount forgiven by PSLF. 6. Can you negotiate student loans? Settling your loans is more similar to the debt that you pay off. well, it actually depends on the lender. Settlement generally arises in the case of default. Once each party comes to a point of agreeing then it will be more or less they seek a lump sum of money or guaranteed tax refund. 7. Is there a fee to consolidate student loans? There is no fee to consolidate your student loans. There are no circumstances under which you pay a fee in advance to get a federal student loan consolidation. 8. How to avoid advance fee scam? Never pay upfront fees for any company or organization always go for your self in applying for the loans. Take your time in researching through all probable sources. while getting with the private loans fees are never paid in front or in advance get in touch with people in real time face to face and not through telephone or online. 9. Does student loan debt go away? Student loan debt never goes away if you are just leaving it further federal loans has no limit on how many times you are getting sued. on the other hand, the private has limited time to sue for money collection. It might go on indefinite time to be aware of your rights. 10. Can student loans be discharged? Student loan debt is different from the regular where the courts hardly discharge the student loan through the bankruptcy. If you have luck on your side it will be wiped out some or all by the undue hardship. It's really rare in cases.